For a business to be successful, it must run like a well-oiled machine. If you don’t intend on losing tons of money due to rampant inefficiency, having things run like clockwork is an absolute must. Business should move at a swift, steady, and reliable pace. Like marching to the beat of a drum. 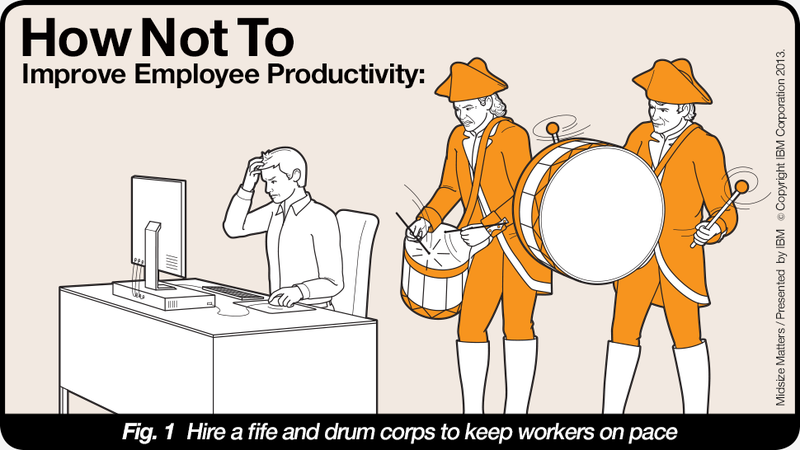 No, not actually marching to the beat of an actual drum. Ok look. To ensure that your midsize company behaves like a finely tuned instrument, you have to make certain that all its parts are connected and in perfect harmony. And when those parts are people, sharing information about the task at hand is key. But harmonizing is sometimes easier said than done. According to IBM, midsize companies often find themselves creating unnecessary barriers within their information frameworks. When different departments rely on different IT solutions that have trouble communicating with one another, connecting useful data with consumers can take weeks – even months – turning your business into a model of inefficiency. In order to save time and money, and get über productive, everyone at your midsize company should to be on the same page. There should be one overarching business solution, and it needs to be a social business solution. Not naps. Just look at the Law Offices of LaVan and Neidenberg, a Plantation, FL law firm that represents disabled veterans and Social Security disability claimants. It has grown immensely in the past several years, and as they grew, they faced barrier problems: slow turnaround for thousands of incoming claims, as well as extremely time-consuming claims management because of fragmented systems, storage, and data. Struggling to communicate internally on top of sifting through medical records and governmental paperwork by hand (a task that no amount of motivational speakers is going to make any easier), they found that there was just no way to process a veteran’s claims in a timely manner. To streamline, LaVan and Neidenberg worked with IBM’s business partner Best Methods, and invested in IBM's social business software to keep everyone and everything in the workflow connected. It gave them the ability to manage data and documents all at once, and to extract relevant information on the fly. As a result, they were able to increase their customer base fourfold, all while increasing productivity by 66 percent and reducing costs by 25 percent. And veterans got the help they so desperately needed, sooner. This is all to say that you don’t need to hustle harder or invent a longer workday to increase productivity. You can get much more done with time to spare if your company is well connected and moving in sync. You’ll be the atomic clock of midsize companies, all thanks to IBM’s business partners and business solutions. This post is part of the IBM Midsize Matters Series, in which business solutions are demystified, just for your midsize business.